high-speed magnetic or optical processing. 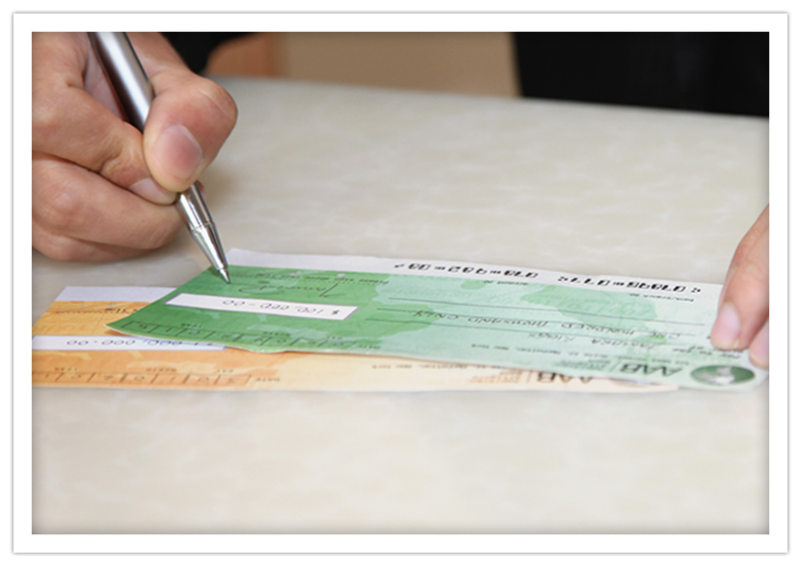 • Eliminates waste when a bank account or institution is changed. • Increases security since only non-negotiable blank paper is stored. and designed for use in high speed laser printers. 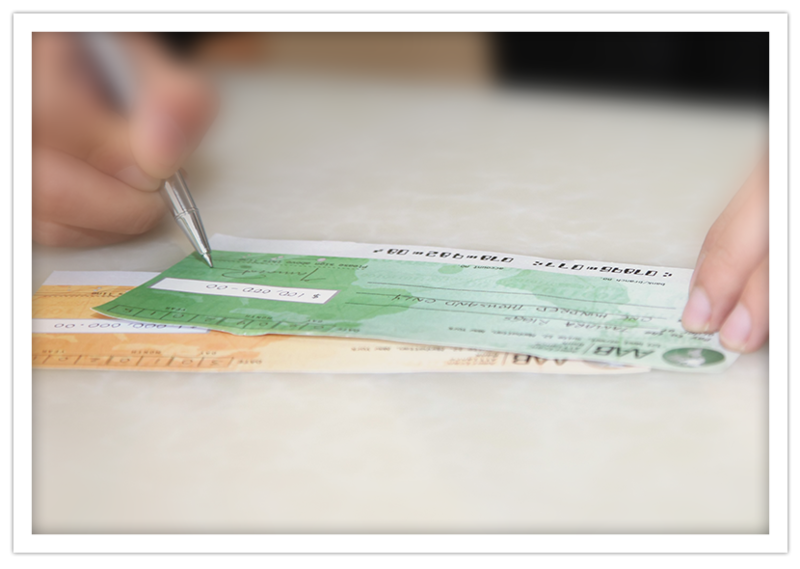 • Allows incorporation of signatures and/or logos during check processing. 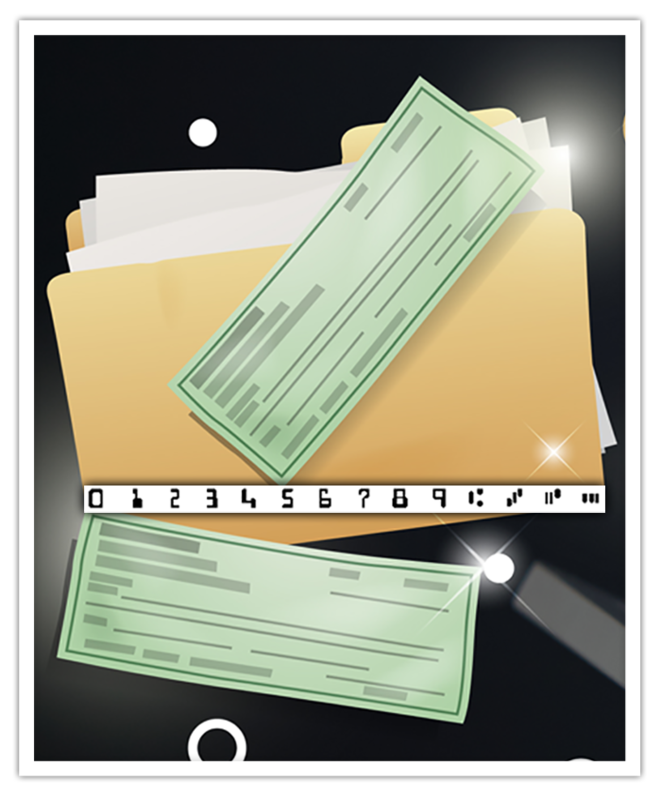 • Permits checks to be printed at remote locations. • Magnetic toner cartridges for a wide selection of laser printers. • MICR quality testing and analysis. • Private label packaging for software companies and wholesale distributors. Since 1988, microMICR Corporation has been serving the needs of businesses and institutions seeking realistically priced solutions to the problem of efficiently producing computer laser checks, bank drafts, and other MICR encoded documents. microMICR specializes in MICR Laser Checknology, concentrating on the manufacture of MICR Toner Cartridges, Font Cartridges, SIMMs, DIMMs, FontFlashCards, USB FlashDrives, USB FutureSmart Drives and the printer-independent font device Secure Font System for most models of laser printers from Hewlett Packard, Lexmark, and Samsung. 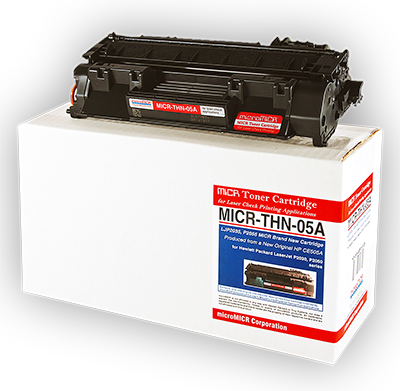 Every microMICR MICR Toner Cartridge is manufactured from a brand new OEM cartridge from Hewlett Packard, Lexmark, or Samsung, using special MICR toner developed specifically for each model printer. This assures the highest consistent quality of MICR printing, minimizing bank check rejects as well as toner leakage problems common with recycled toner products. microMICR is an Original Equipment Manufacturer of products for laser check printing sold through software companies, Value Added Resellers, national distributors and retail office supply stores. At microMICR, we believe that quality and service are of paramount importance and we are proud to offer the highest quality MICR toner and font products available. 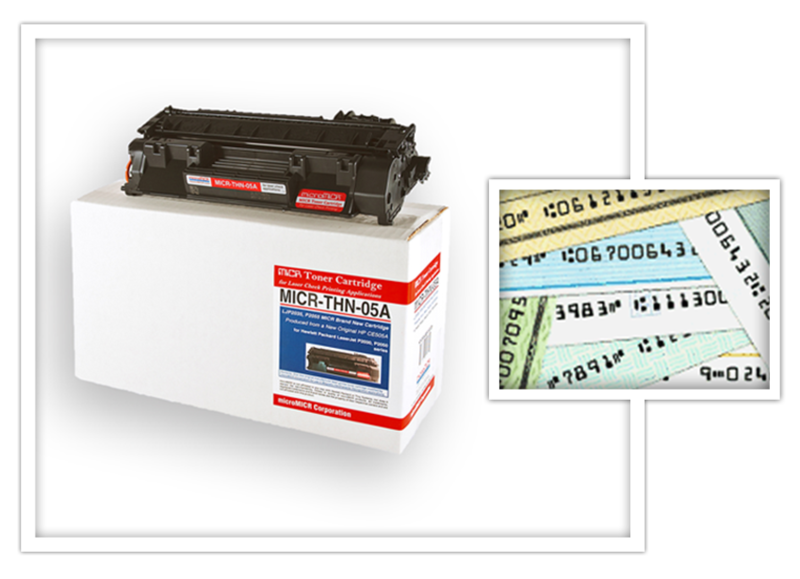 All microMICR toner and font products are produced or assembled in the United States of America. Refer to our HP Font Device & Toner Compatibility Table to locate the proper font device for any HP LaserJet printer and find the applicable microMICR toner part number.